The Transit Wagon has standard head airbag curtains for all three seat rows that act as a forgiving barrier between the driver and outboard passenger's upper bodies and the window and pillars. Combined with high-strength steel door beams and lower side airbags this system increases head protection in broadside collisions. Head airbags cost extra in the Passenger Van and are only available for the front seats. The Transit Wagon’s optional driver alert monitor detects an inattentive driver then sounds a warning and suggests a break. According to the NHTSA, drivers who fall asleep cause about 100,000 crashes and 1500 deaths a year. The Passenger Van doesn’t offer a driver alert monitor. The Transit Wagon offers optional SYNC®, which uses a global positioning satellite (GPS) receiver and a cellular system to send emergency personnel to the scene if any airbags deploy. The Passenger Van doesn’t offer a GPS response system, only a navigation computer with no live response for emergencies, so if you’re involved in an accident and you’re incapacitated help may not come as quickly. Both the Transit Wagon and the Passenger Van have standard driver and passenger frontal airbags, front seatbelt pretensioners, height adjustable front shoulder belts, four-wheel antilock brakes, traction control, electronic stability systems to prevent skidding, available daytime running lights, lane departure warning systems and rear parking sensors. The Transit Wagon’s optional 3.5 turbo V6 produces 149 more horsepower (310 vs. 161) and 135 lbs.-ft. more torque (400 vs. 265) than the Passenger Van’s standard 2.1 turbo diesel. The Transit Wagon’s optional 3.5 turbo V6 produces 75 lbs.-ft. more torque (400 vs. 325) than the Passenger Van’s optional 3.0 turbo V6 diesel. The Transit Wagon’s 3.2 turbo diesel produces 24 more horsepower (185 vs. 161) and 85 lbs.-ft. more torque (350 vs. 265) than the Passenger Van’s standard 2.1 turbo diesel. The Transit Wagon’s 3.2 turbo diesel produces 25 lbs.-ft. more torque (350 vs. 325) than the Passenger Van’s optional 3.0 turbo V6 diesel. The Transit Wagon has a standard cap-less fueling system. The fuel filler is automatically opened when the fuel nozzle is inserted and automatically closed when it’s removed. This eliminates the need to unscrew and replace the cap and it reduces fuel evaporation, which causes pollution. The Passenger Van doesn’t offer a cap-less fueling system. The Transit Wagon’s tires provide better handling because they have a lower 65 series profile (height to width ratio) that provides a stiffer sidewall than the Passenger Van’s standard 75 series tires. The Transit Wagon has standard rear gas-charged shocks for better control over choppy roads. The Passenger Van’s suspension doesn’t offer gas-charged shocks. The front suspension of the Transit Wagon uses coil springs for better ride, handling and control than the Passenger Van, which uses leaf springs. Coil springs compress more progressively and offer more suspension travel for a smoother ride with less bottoming out. The Transit Wagon’s front to rear weight distribution is more even (51% to 49%) than the Passenger Van’s (53% to 47%). This gives the Transit Wagon more stable handling and braking. The Transit 150 MWB XLT handles at .72 G’s, while the Passenger Van 2500 144” WB pulls only .61 G’s of cornering force in a Motor Trend skidpad test. For better maneuverability, the Transit 150 MWB’s turning circle is 1.7 feet tighter than the Passenger Van 2500 144” WB’s (42.9 feet vs. 44.6 feet). The Transit Wagon is 18.4 inches shorter in height than the Passenger Van, making the Transit Wagon much easier to wash and garage and drive (lower center of gravity). The Transit 350 LWB offers optional seating for 15 passengers; the Passenger Van can only carry 12. The Transit 150 MWB has 2.4 inches more front legroom, 4 inches more front hip room, .2 inches more front shoulder room and 1.3 inches more rear shoulder room than the Passenger Van 2500 144” WB Standard Roof. The Transit 350 LWB has 2.4 inches more front legroom, 4 inches more front hip room, .1 inches more front shoulder room and 1.2 inches more rear shoulder room than the Passenger Van 2500 170” WB High Roof. The Transit 150 MWB’s cargo area provides more volume than the Passenger Van 2500 144” WB Standard Roof. The Transit 150 MWB’s cargo area provides more volume than the Passenger Van 2500 144” WB High Roof. The Transit Wagon offers a remote vehicle starting system, so the vehicle can be started from inside the driver's house. This allows the driver to comfortably warm up the engine before going out to the vehicle. The Passenger Van doesn’t offer a remote starting system. In case you lock your keys in your vehicle, or don’t have them with you, you can let yourself in using the Transit Wagon’s available exterior PIN entry system. The Passenger Van doesn’t offer an exterior PIN entry system. The Transit Wagon’s standard side window demisters help clear frost or condensation from the side windows in the winter. The Passenger Van doesn’t even offer side window demisters, so the driver may have to wipe the windows from the outside to gain side vision. The Transit Wagon has standard power remote mirrors. The Passenger Van only comes with remote mirrors at extra cost. Without them the driver will have to roll down the windows and reach across the car to adjust the mirrors. Optional SYNC AppLink for the Transit Wagon allows the driver and passengers access to select programs on their smartphones, including reading text messages aloud, playing internet radio stations, searching the internet, following twitter accounts and other connected activities without taking their eyes off the road or their hands from the wheel. The Passenger Van doesn’t offer factory integrated smartphone program access. The Transit Wagon’s available GPS navigation system has a real-time traffic update feature that plots alternative routes to automatically bypass traffic problems. (Service not available in all areas.) The Passenger Van’s available navigation system doesn’t offer real-time traffic updates. With optional voice command, the Transit Wagon offers the driver hands free control of the radio and the navigation computer by simply speaking. The Passenger Van doesn’t offer a voice control system. The Transit Wagon offers an optional 115-volt a/c outlet, allowing you to recharge a laptop or run small household appliances without special adapters that can break or get misplaced. The Passenger Van doesn’t offer a house-current electrical outlet. 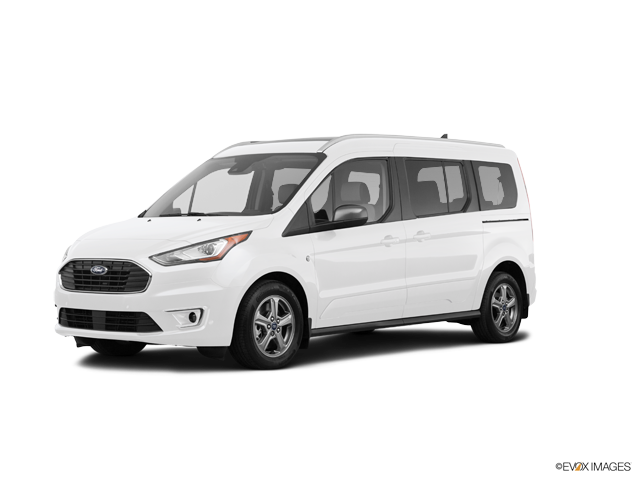 The Ford Transit outsold the Sprinter by over four to one during the 2016 model year.